Becca Carcaterra is an outgoing 20-year-old young woman who was diagnosed with Ewing’s Sarcoma in October of 2014 while attending St. Olaf College in Minnesota. 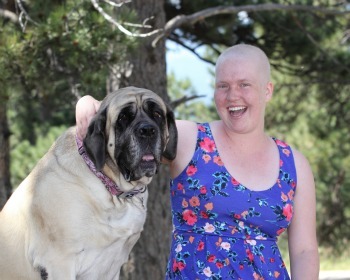 The diagnosis of cancer brought Becca back to her home state of Colorado where she sought treatment at the Denver Clinic at Presbyterian/St. Luke’s Medical Center. 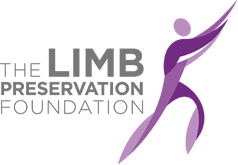 Under the close care and guidance of orthopedic surgeon Dr. Ronald Hugate and oncologist Dr. Julie Zimbelman, Becca’s treatment included intensive chemotherapy and radiation to preserve the use of her right arm. After nine months of treatment, including both chemotherapy and radiation, Becca entered remission in July of 2015! Throughout her difficult treatment, Becca has remained focused on returning to school. She found incredible support from her community at St. Olaf, her friends and professors, even the school principal! She also found support in her family, hometown community of Glenwood Springs and from Olympic Gold Medalist, Missy Franklin, who came to visit Becca during treatment! 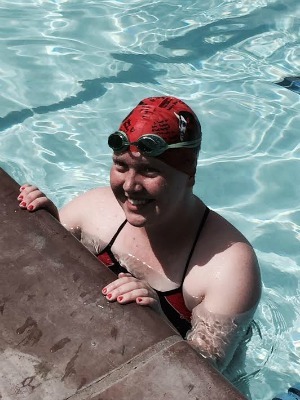 Becca looks forward to gaining back her fitness and being able to enjoy swimming and hiking. The Foundation has supported Becca and her family with the financial burdens of treatment through the Patient Assistance Fund, allowing the Carcaterra Family to focus on their daughter’s treatment. The Foundation was also honored to award Becca a 2015 Limb Preservation Scholarship! Bronx might have the biggest smile you’ve ever seen – get too close and she’ll give you the biggest kiss, too! This five-year-old, 185-pound Mastiff was diagnosed with osteosarcoma in January of 2015 in her left rear leg after she began limping. Because of her large size, her mom made the decision not to remove Bronx’s leg. Instead, Bronx underwent both chemotherapy and radiation to control her cancer and did well with both treatments, having little-to-no side effects. Bronx, who is an AKC certified show dog, continues to love being around people, swimming and camping! We’re so happy to share with you that after her six-month checkup, Bronx was cancer-free and living life to the fullest!